Digital radiography (digital x-ray) is the latest technology used to take dental x-rays. This technique uses an electronic sensor (instead of x-ray film) that captures and stores the digital image on a computer. 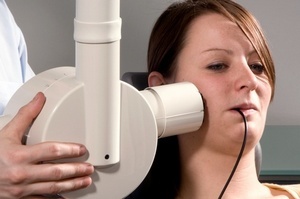 This image can be instantly viewed and enlarged helping the oral surgeon detect problems easier. 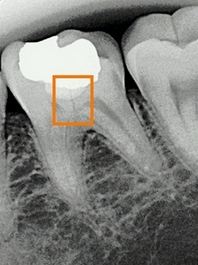 Digital x-rays reduce radiation 80-90% compared to the already low exposure of traditional dental x-rays. Our practice uses the ultra high resolution Kodak® 6100 sensors which require minimal radiation and produce extremely high definition images. Dental x-rays are essential, preventative, diagnostic tools that provide valuable information not visible during a regular dental exam. Oral and maxillofacial surgeons use this information to safely and accurately detect hidden dental and bony abnormalities and complete an accurate treatment plan. Without x-rays, problem areas may go undetected. The need for dental x-rays depends on each patient’s individual dental health needs. Your oral and maxillofacial surgeon will recommend necessary x-rays based upon the review of your medical and dental history, a dental exam, signs and symptoms, your age, and risk of disease. 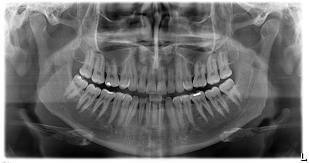 A panorex x-ray is especially valuable in the assessment of the development and position of wisdom teeth as well as to rule out pathology of the maxillofacial bones. A full mouth series of dental x-rays is recommended for new patients. A full series is usually good for three to five years. Bite-wing x-rays (x-rays of top and bottom teeth biting together) are taken at recall (check-up) visits and are recommended once or twice a year to detect new dental problems. Bite-wing x-rays are not typically adequate for the evaluation of third molars.